Xiao, D, & Yu, Y. (2018). 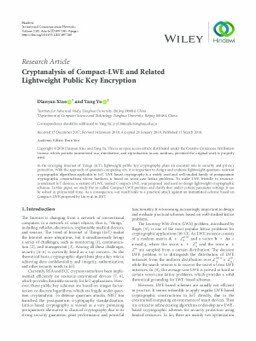 Cryptanalysis of Compact-LWE and related lightweight public key encryption. Security and Communication Networks, 4957045:1–4957045:9.